I even drink iced coffee outside during the winter. I know, it's weird but I'm just like that. I'd be really concerned if suddenly one day you just started to become a normal guy like any other. Huh? What exactly do you mean by "normal"? I am not a fan of hot drinks either. I don't normally drink coffee either. I only tend to drink it black when I do, and frankly only if it's a triple espresso. I drink all my teas cold as well; usually without any sweetener. So I understand. Actually in my office only a few people drink coffee from a pot anymore. Not being a squid empress, for one. I've always wondered why carbon-containing compunds burn before they reach the melting. I've also never heard of molten ash. I know that synthetically made diamonds exist. Add some boron and it's better than a silicon/silicone/whatever chip! While diamond is hard, it's actually quite vulnerable to being smashed by hitting it with a hammer. Diamond's hardness is most known for its cutting ability. I know if you drop a diamond of a very tall building, it'll be smashed when it hits the concrete or asphalt. 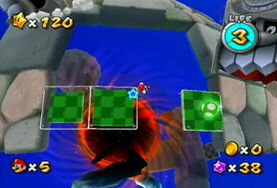 I think they would also shatter the concrete and asphalt simultaneously when the diamonds shatter. Technically, the hardest natural material is neutron star material. Actually, it'd be black hole material, but we still don't know enough about those to even say that one could call black hole material "material" in the first place, so I went for the next best thing. It could dark antimatter mixed with dark energy. The issue with those materials is they also have additional properties at play that would make them behave radically different to what diamond would. (Extremely high gravity, x-rays, other radiation types). Also small blackholes can't sustain themselves and would collapse. 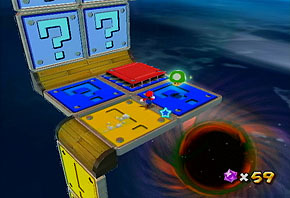 I've always wondered why the black holes in Super Mario Galaxy 1 & 2 have two types of models or something. I shouldn't think so much. Hey, the Acmlmboard-style ones are those used in ABXD! MySQL - queries: 197, rows: 663/700, time: 0.204 seconds.